I published my second book a little over a month ago. It took about 11 months from conception to release, clocks in at around 45,000 words, and the bulk of the first draft was written (actually dictated) on my iPhone using Siri and an app called WorkFlowy. A significant fraction of that was “penned” walking down a quarter-mile long sky-bridge that attaches the decrepit parking garage I park in to the hospital I work in, which I typically traversed a few times a day as a resident. The workflow basically went like this: dictate fragments and ideas while walking. Lots of them. Some of these started off as headings and things to cover later in further detail ( especially those parts that require crunching numbers). Other parts were fully fleshed out (sometimes with placeholders for the data I didn’t have offhand). Back at my computer, I intermittently organized these entries into categories using the browser/web-version of Workflowy. Workflowy—which is a note-taking/outlining/list-making platform—is perfectly suited to this because it allows for an endlessly large and endlessly nested hierarchal outline. (It’s a freemium app; it’s free but you can pay for upgraded features. That link is a referral that doubles the number of list items you can add per month. Using that would add to my maximum as well, but I already have more than I need). I use Workflowy for basically everything I write: post ideas, drafts, quotations, rapid to-do lists, etc. You can expand and collapse different levels of the outline with the click of a bottom and drag/drop to reorganize elements on the fly. It’s basically frictionless. So, I spitballed the first half of the book based on a latent outline I had in my head and the topics I knew I would need to cover. Once I had some volume on paper [sic], I went back in and plotted out the chapters I would include and then nested everything I had already written in their proper locations. I had approximately 10,000 words dictated before I organized all these fragments into chapters. The outline format makes it easy to generate new content and then filter and clump it together in batches, so then I knew where the gaps were. As I got the core content done and it was time to synthesize the disparate elements, flesh out certain paragraphs and arguments, etc, I then transferred the whole outline into Ulysses: the only distraction free writing environment I’ve ever used meaningfully (I also wrote my Texas JP exam book in it). Ulysses allows you to create a smart-folder with multiple separate text documents (“sheets”) in it while displaying them all in a sidebar on the left. So I transferred all the primary chapters into their own sheets within this larger group. Then I begin the process of fleshing out the writing, fixing innumerable dictation errors, adding examples, figuring out all the data I needed, crunching the numbers, and trying to limit repeating myself too much (it’s easy to have an epiphany and dictate what you think is an amazing well-argued point only to realize you’ve already said it twice). The Ulysses’ sheet system allowed me to keep all my chapters in separate places to move effortlessly back and forth between them, keeping the format simple with Markdown instead of the usual poorly-implemented Word styles (this is particularly helpful when trying to format e-books, as well as preventing me from wasting my time fiddling with formatting when I should be writing). Ulysses isn’t great for complex data like tables, so as a consequence, those had to wait until the final push. When I was done writing, I exported the whole thing into Microsoft Word for the final additions, table of contents, etc. The folks who make Ulysses finally released a fantastic iOS version during this process, which I could theoretically use for my next project from the very beginning. The mobile app is a separate purchase but well worth it. Once I move a project into Ulysses, I can now edit it on my phone or on my computer and the iCloud sync works perfectly every time. But I’ll probably still use Workflowy for the initial draft; it’s just so flexible that nothing I have beats it. On the other hand, I’m slowly revamping my “Guide to Fourth Year” and doing it on straight on Ulysses (because I had the initial drafts already written from the old blog posts). 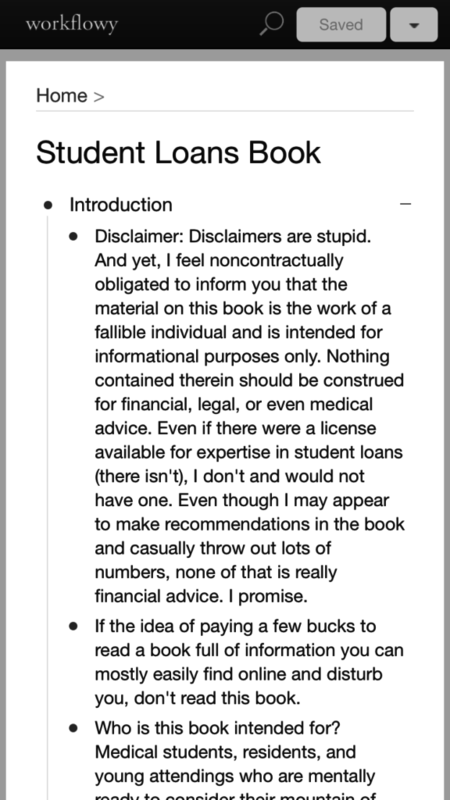 Ultimately, Medical Student Loans: A Comprehensive Guide was a bit scarier to write in some ways than my first book. The JP book was in some ways straightforward: distil a large amount of known boring material into a reasonable amount of condensed material with the hopefully right balance of precision, clarity, concision, and humor. I knew there was a small but underserved market of people (i.e. all physicians who need a Texas license), and I felt that there were several workable but no good options. No one needs a student loan book. There is no mandatory test. 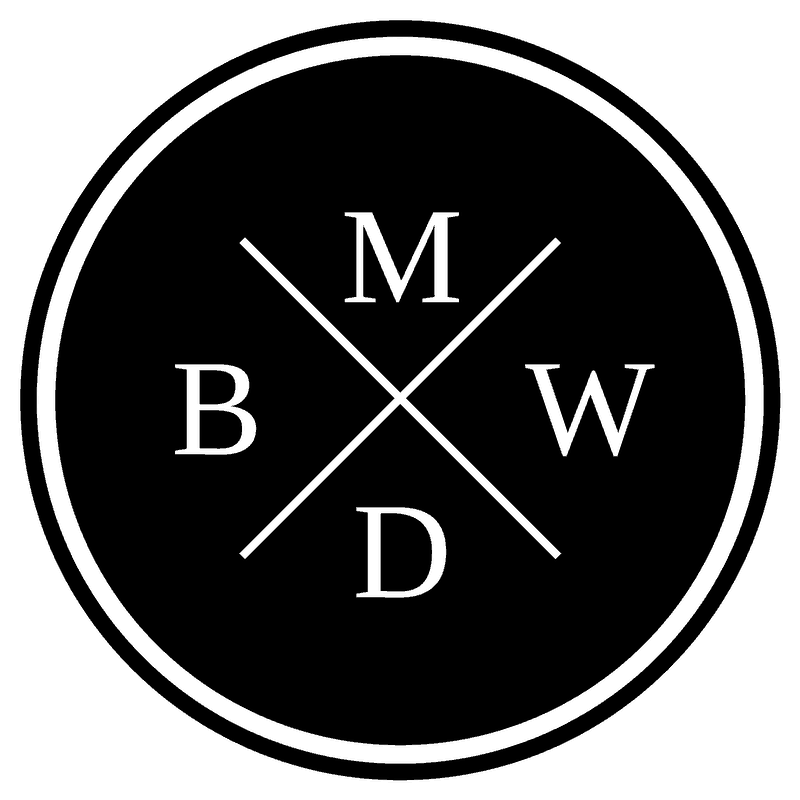 I’m competing with a bunch of free websites and a few mostly crappy books that I am confident no one is actually buying or reading. The vast majority of these don’t tailor well to doctors, but enough cover the issues well enough such that a dedicated person can learn enough in a couple hours to feel like they can (in many cases correctly) make reasonable decisions. All that said, I believe strongly that more young docs and docs-in-training need the material in this book. 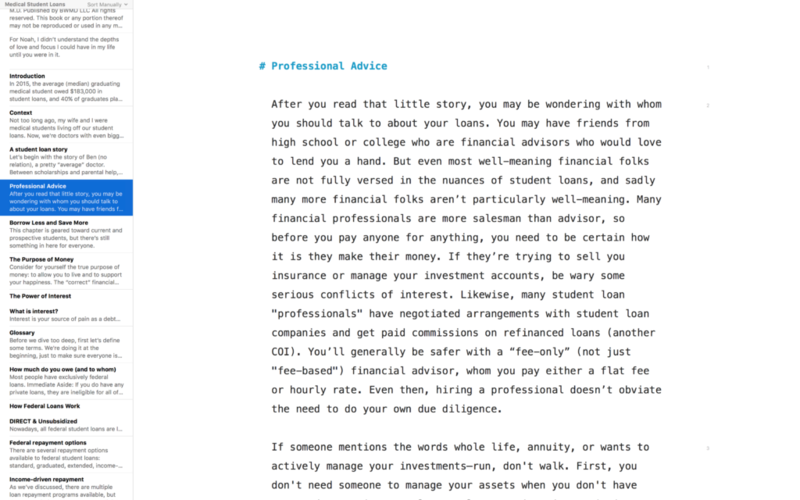 Many if not most graduating students don’t understand their loans or even have the basic financial literacy foundation to make sound decisions about them (or any other financial decisions for that matter). That is why I wrote the book, and I’m glad I did! Overall, it was a big fun project that took way longer than I’d planned. On to book #3!